A look at where things stand in the legal battle over President Donald Trump’s travel ban. The fight over President Donald Trump’s travel ban reached the Supreme Court late Thursday, in the form of three urgent requests from the Justice Department. 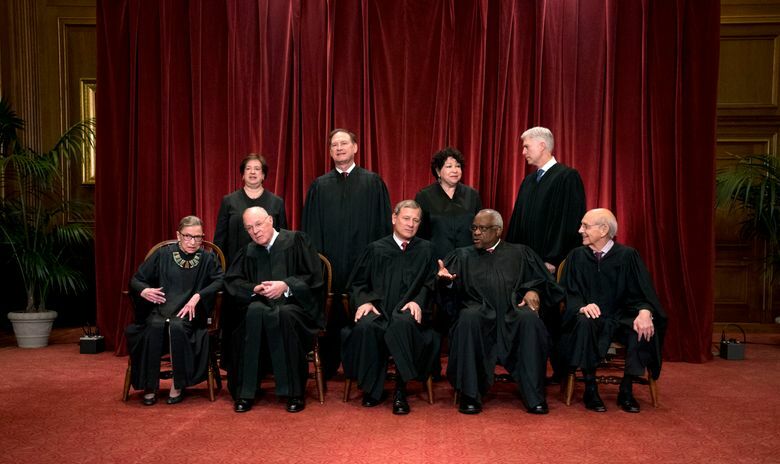 A look at where things stand, and the justices’ options. Q. What is happening in the Supreme Court? A. The Justice Department filed a petition seeking review of a decision by the 4th U.S. Circuit Court of Appeals, in Richmond, Virginia, that blocked the Trump administration’s proposed limits on travel from six mostly Muslim countries. The government asked the justices to act a little faster than usual, urging them to decide whether to hear the case before they leave for their summer break. But that would still defer arguments to the fall, with a decision to follow. “The stakes are indisputably high: The Court of Appeals concluded that the president acted in bad faith with religious animus when, after consulting with three members of his Cabinet, he placed a brief pause on entry from six countries that present heightened risks of terrorism,” the government’s brief said. The administration also made two interim requests, asking the court to stay two rulings blocking parts of the travel ban. Granting the stays would revive the ban while the justices decide how to respond to the petition. It takes five votes to grant a stay. Q. What is the Supreme Court likely to do? A. The court will probably agree to hear the appeal. When a major presidential initiative is ruled unconstitutional by a federal appeals court, a review by the Supreme Court almost always follows. The stay applications present harder questions, and how the court answers them will have important practical consequences. The court typically moves quickly on requests for stays, often acting in about a week. Under its usual practices, it would not hear arguments on the applications and would issue brief orders announcing the outcome with little or no legal reasoning. Q. What is the basic issue in the case? A. The Trump administration has sought to limit travel from six mostly Muslim countries while it reviews its vetting procedures. It says the move is justified by the need to keep the nation safe, and it says presidents have almost unlimited discretion to make national-security judgments and to control immigration. People and groups challenging Trump’s executive order say it was a product of religious intolerance and the culmination of his campaign pledges to institute a “Muslim ban.” They say that violates the First Amendment’s prohibition of government establishment of religion, and several courts have agreed. Karen Tumlin, legal director of the National Immigration Law Center, said lower courts had been right to reject Trump’s order. “Again and again, our nation’s courts have found that President Trump’s Muslim ban is unconstitutional,” she said. The case thus presents the Supreme Court with the opportunity to issue a major constitutional ruling on the scope of presidential power. But there are procedural wrinkles, and it is possible that the case will be resolved without a formal ruling. Q. What have the trial courts done? A. Federal judges in Maryland and Hawaii have blocked Trump’s revised travel ban, issued in March. The Maryland ruling was narrower, freezing only the order’s 90-day suspension of entry from Iran, Libya, Somalia, Sudan, Syria and Yemen. The suspension was needed, the executive order said, to allow the government to conduct a review of its vetting procedures. The Hawaii ruling also blocked the order’s suspension of the nation’s refugee program. More important, it appeared to prohibit the government from completing its 90-day internal review process. That part of the Hawaii ruling may turn out to be very important. If it is lifted, the travel ban could expire before the Supreme Court has a chance to issue a definitive ruling. Q. What happened in the appeals courts? A.: Last week, the 4th U.S. 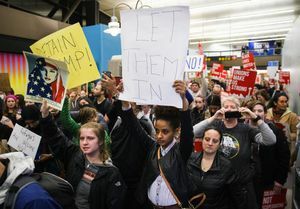 Circuit Court of Appeals affirmed the decision by the judge in Maryland, refusing to revive the part of the ban limiting travel from the six countries. The vote was 10-3. The 9th U.S. Circuit Court of Appeals, in San Francisco, heard arguments last month in the government’s appeal from the Hawaii decision, but it has not issued a ruling.